The newest voice-activated A.I. assistant differs from Alexa, Siri, Cortana and others with a white-label service approach that works in the background. IBM is jumping into the digital assistant market with its own voice-activated Watson Assistant, an artificial intelligence-based system that takes a different approach than other players in the market by targeting businesses. Unlike Alexa, Google Assistant, Cortana and Siri, Watson Assistant, which was announced last week, is a white-labeled service that – from the user perspective – runs in the background on the IBM Cloud. There is no Watson Assistant wake-word, such as “OK, Google” “Hey Siri,” or “Alexa.” Nor are there plans for a Watson-branded device to be sold in stores. That’s because IBM is selling Watson Assistant directly to businesses rather than consumers, said Bret Greenstein, IBM vice president of Watson IoT. “We are coming at this from a market point of view that is more friendly to enterprise clients,” he said. The thinking is that IBM Watson can provide the A.I. assistant technology on top of which a company can put its own brand voice, customizing its features for specific uses and deploying it in a variety of connected devices. From a consumer perspective, conversations will be with a business – be it a retailer, car company or any other type of organization – rather than Watson. “First and foremost, we tailor to the client’s brand, so even though everything will be powered by Watson, you won’t be talking to Watson, you will be talking to your BMW or whichever companies embed this – you will be talking to them,” Greenstein said. How does Watson Assistant work? IBM already sells conversational A.I. products as part of the Watson portfolio; Watson Assistant combines some of the company’s existing technologies. This includes Watson Conversation, a framework for building chatbots and applications that require natural language processing that’s being rebranded as Watson Assistant, and Watson Virtual Agent, which will be retired. In addition to providing a framework that allows developers to create their own Watson Assistant skills, IBM has already built three vertical-specific skills – for industrial, automotive and hospitality uses – businesses can apply branding to. A “cognitive profile” can then be built around a user and used to make proactive recommendations based on past behavior and preferences, said Greenstein. For example, a Watson-based car assistant might suggest a coffee break after three hours of driving and then suggest a nearby cafe. Raúl Castañón-Martínez, a senior analyst at 451 Research, said that targeting industry verticals allows IBM to communicate the benefits of the Watson Assistant to customers more effectively. “A key challenge for IBM is market education; helping organizations understand the use cases in which A.I. assistants can be relevant for cost reduction, customer service improvement, workflow automation, etc.,” he said. Hospitality, however, will be “a tougher sell,” he said, as many large hotels have already begun equipping rooms with Apple and Amazon devices. Other potential customers for Watson Assistant include connected device manufacturer Harman, a subsidiary of Samsung that has created a digital cockpit system fitted into a Maserati GranCabrio, and Royal Bank of Scotland, which will use the A.I. assistant in contact center calls. 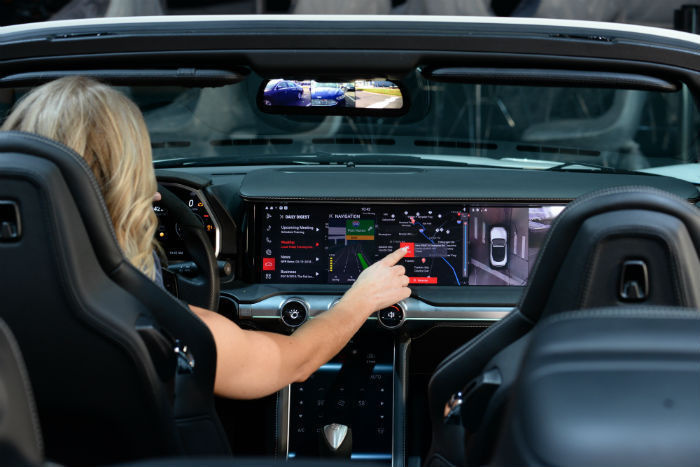 A driver interacts with Watson Assistant in a “digital cockpit” from automotive electronics firm HARMAN. Greenstein also pointed to a deployment at Munich Airport, where Watson Assistant is embedded into a Softbank Pepper robot that answers questions and provides guidance for travelers, such as where gates are located and why a flight might be delayed. Another way IBM hopes to differentiate Watson from other A.I. assistants is by emphasizing data privacy. In practice, this means Watson Assistant users can choose whether or not their data is used to train Watson’s machine learning models, the principle being that the more data fed into Watson, the smarter it becomes. IBM claims to be the only provider that allows this choice. “So when you train your model, you can own and protect the insights you have generated,” the company said online. While data privacy is a key issue for businesses and consumers, restricted access to data has its downsides, too. There are also questions as to what degree IBM’s focus on data privacy will slow Watson Assistant’s uptake. Jon Arnold, at J Arnold & Associates, said that security “seems to be a real strong suit for IBM, but that may not yet be a big selling point or adoption driver. “It certainly will be for enterprises and businesses in order to protect their data, but probably not as much for end users,” Arnold said, though he noted that attitudes may be shifting, particularly in the wake of the recent privacy controversy involving Facebook and Cambridge Analytica. So while Alexa, Siri and others may have greater awareness among the public, Watson Assistant will have a place too, albeit less visibly. Leveraging A.I. 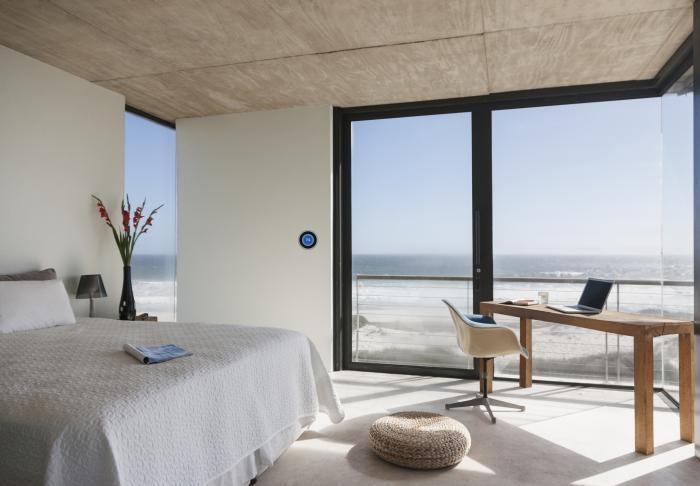 and the Internet of Things, Watson Assistant can set hotel room temperature, offer dining recommendations, turn on lights and close blinds. There still remains the question of interoperability between the various assistants. Greenstein said that will depend on consumer demand.